Minecraft fans:. 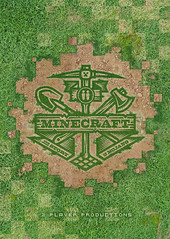 This Saturday, December 22, we’ll be airing World Premiering the new documentary Minecraft: The Story of Mojang. The movie follows Minecraft creator Markus Persson after his rise to fame in 2011 and examines the ins and outs of building a video company. This world premiere will air for free for Xbox LIVE Gold subscribers in the U.S., U.K., Ireland, Belgium, Portugal, Austria, France, Finland and Sweden. For Xbox LIVE Gold Members in those countries, check out the Minecraft tile on your Xbox LIVE dashboard for local viewing times and a trailer for the documentary.